China is showing off its wealth, status, power, and importance by building innovative sky-soaring structures. Large Chinese cities and even some smaller towns have skyscrapers galore. Now in the race to do something great and different, architects and builders are thinking of innovative ways to make their masterpieces stand apart from the crowd. 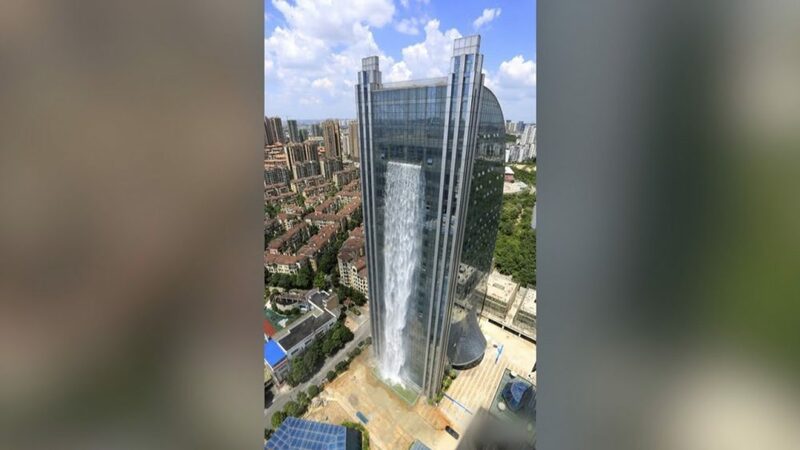 One such engineering masterpiece has been created in the Chinese city of Guiyang that boasts of being the world’s largest man-made waterfall. 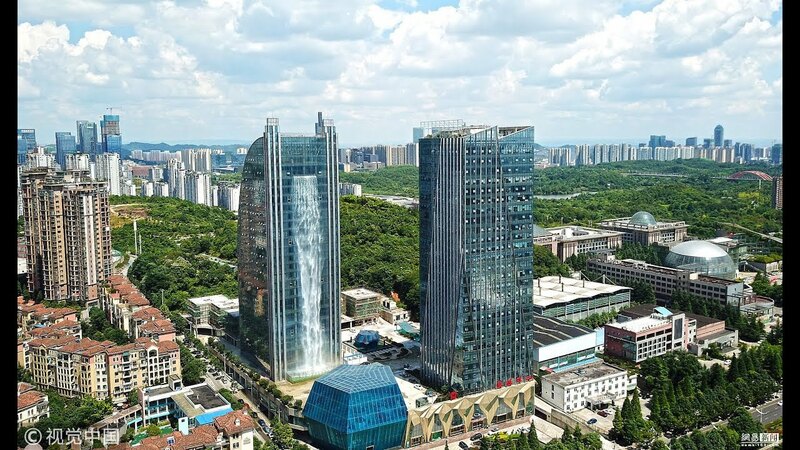 This artificial water feature is 108 meters tall (350 feet) and is a part of the towering Liebian Building, a hotel located at a public plaza in the city’s central business district. The water cascades down into a tank at the bottom of the building. A perpetual rainbow in front of the building created by this waterfall gives spectacular aerial shots. Inside this building, visitors will find a shopping mall, offices, and a luxury hotel. The waterfall uses runoff, rainwater, and groundwater collected in giant underground tanks to create a spectacular effect.